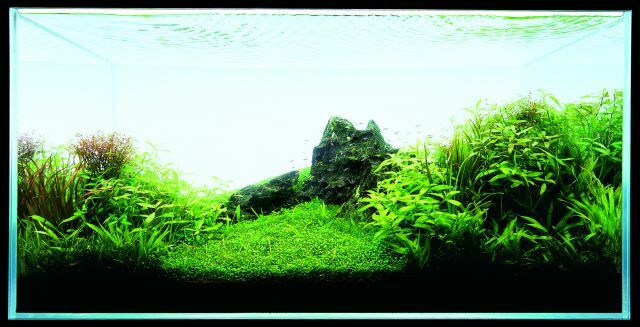 Stem plants are not often used in Iwagumi layout. 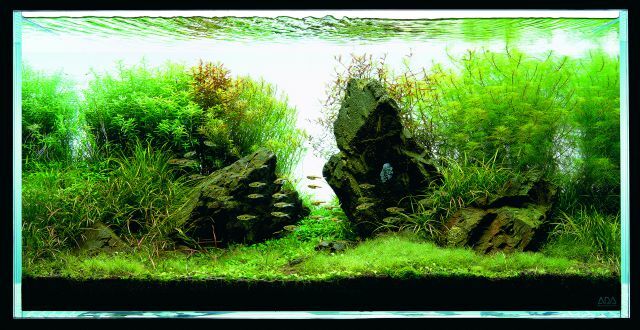 However, these plants are used to make a significant change to the aquascape by so-called “Sozo Haishoku” or to emphasize the perspective of the layout. 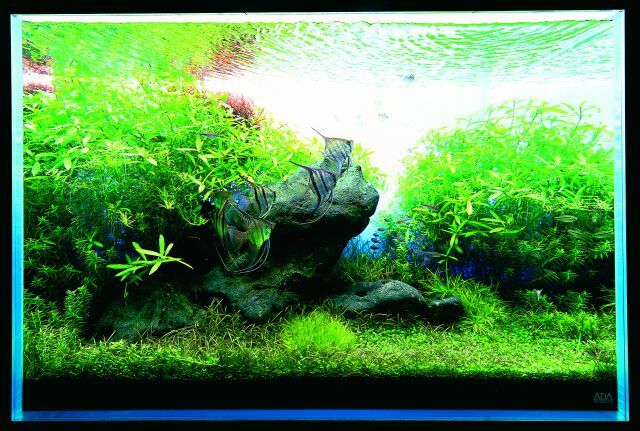 Let’s have look at the beauty of plant clusters in Iwagumi layouts. Stem plants grown into a beautiful cluster wrap Hakkai stones from behind. They are harmonizing well with rounded Hakkai stones. Soft colors of Stem plants in the background match the earth color of Manten stones and enhance their presence. a brighter and softer effect after the makeover by Sozo Haishoku with stem plants. distant view of a mountain and having a clump of stem plants in front to depict a forest.